hat-lovers event and your chance to show off. inspiring similar events around the world. the junction of Rambla de Catalunya with Grand Via to the ‘Thinking Bull’ sculpture. Q. Must I sign up somewhere to participate? A. You don’t have to sign up. Everyone can participate without previous inscription. both, vote and stroll with your hat. You can also vote by mail. Q. Do I have to pay to participate? A. Not a dime. It’s a popular event on the street and you don’t have to pay. Q. Can I go without wearing a hat, just to take a look? the point of going to a Hat Stroll WITHOUT a hat? Q. Can the whole family join in? Saturday afternoon to hand craft their own hats out of cardboard. A. We pick up our hats and our umbrellas. Even if it rains the Hat Stroll will go ahead. Q. I’ve heard there’s a complimentary commemorative badge, how can I get one? Q. Does the Hat Stroll really start at noon? the sculpture of the Flirtatious Giraffe (Diagonal) and that of the Thinking Bull (Gran Via). for a coffee, all while showing off your hat! Q. I want to join in but I don’t know what to wear. Q. Can I wear a disguise? of millinery, a chic showcase for hats as an expression of style! Q. I would participate but I don’t have money to buy a hat. Q. I don’t like it when people take my picture, can I ask not to be photographed? have your picture taken, so if you do not wish for that to happen you should not participate. to have your picture taken? Q. I’m a photographer, is it ok if I go and take pictures? will not coincide. Good news for hat lovers who also like sports! The Mayor amounts to € 30M in the amount necessary to buy and rehabilitate 150 empty commercial premises and create a stock exchange of available spaces, from which private premises may be disused. As for the city’s tourism promotion, Colau has declined to use headlines on the celebration of major events and has argued that Barcelona has a model and project: to be an innovative, sustainable city and the best place to live and work. Barcelona, ​​on March 25, 2019. – Ada Colau said this morning at the fifth Breakfast with the trade of Barcelona, ​​organized by Barcelona Comerç and Barcelona Oberta with the collaboration of La Vanguardia, that trade has a major economic role in The city, in addition, fulfills a clear function of social cohesion. In this sense, it has announced the program “dynamic neighborhoods”, a proposal to boost the vacancies in Barcelona. This new plan provides for the purchase and rehabilitation of up to 150 premises in different parts of the city, to be used for commercial activity under the official rental protection regime. His will is to create a stock exchange of available premises, especially in the neighborhoods where the presence of commerce is smaller. In relation to mobility, Ada Colau assured that in Barcelona, ​​like other cities, “we are faced with a paradigm shift and this causes debates, neglects and controversies. The big bottom line in our case is that there are more than 100,000 vehicles in Barcelona. It is a question of health and mobility. ” Colau would not rule out an entry toll in the city, a measure, he said, that they are already studying. On the contrary, he said, “a tribute that burdens the home delivery derived from e-commerce is not a solution. This type of distribution is a matter of pollution and also of occupation of public thoroughfare. It is necessary to enhance collection points and agree synergies between e-commerce operators and the city’s trade “. The Mayor has invited merchants and representatives of the commercial axes to a meeting with Amazon to find ways of collaboration. Regarding the supercases, the mayor has defined them as “a great success” and said they will continue to implement new ones. 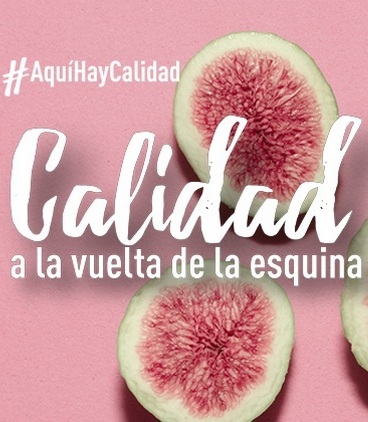 In the same way, Colau is committed to continuing to increase kilometers of bike lanes in the city, while reaffirming the feasibility of connecting the tram to the Diagonal. 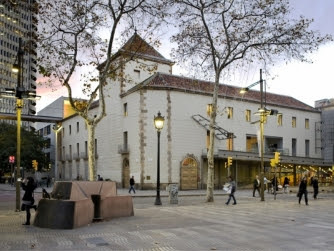 “The first section would go from Glòries to Verdaguer and would also lead to a redevelopment of the whole area.” Also, in matters of mobility, the Mayor has demanded the urgent fulfillment of the commitments related to investments in suburban infrastructures: “the City Council of Barcelona, ​​as well as others, for many years we are alone in structural matters and this we all pay “. Bou has shown himself in favor of applying a fee to record and regulate the logistics generated by online commerce in the city. The candidate announced that he would withdraw the bike lanes in Barcelona and give priority to the private vehicle. In matters of security and illegal trade, the proposal for a solution by Josep Bou has been very clear: “there is a political will on the part of the Consistory; He would mount an extra unit of the well-prepared urban guard, with the ability to act and evacuate the mantos. “According to Bou, if we project a serious city image, it would end up with the call’s effect and the problem would be erradicated. Regarding mobility, the candidate of the PP, like Manel Valls, made it clear that the tramway on Diagonal is not a priority, although it does consider it necessary to speed up mobility. The proposed solution is a highly articulated vehicle: “The connection must be 10”. Bou has emphasized that in the past, the trams had caused many accidents in Barcelona, ​​that there is an excess of cycle lanes that do not make sense and that it should be removed, to give priority to the private vehicle. Bou has been forceful in the need to apply a fee as an instrument to regulate the increase in city journeys derived from the rise of online commerce. Finally, regarding the problem of taxi drivers, Josep Bou has argued that “the future must be open to new technologies, it can not be that the MWC arrives and that we do not have Uber and Cabify in Barcelona: they must be able to coexist all the transport systems. “Likewise, despite defending the right to express itself, it considers that taxi drivers can not collapse the city, the public road is of everyone and must be respected. 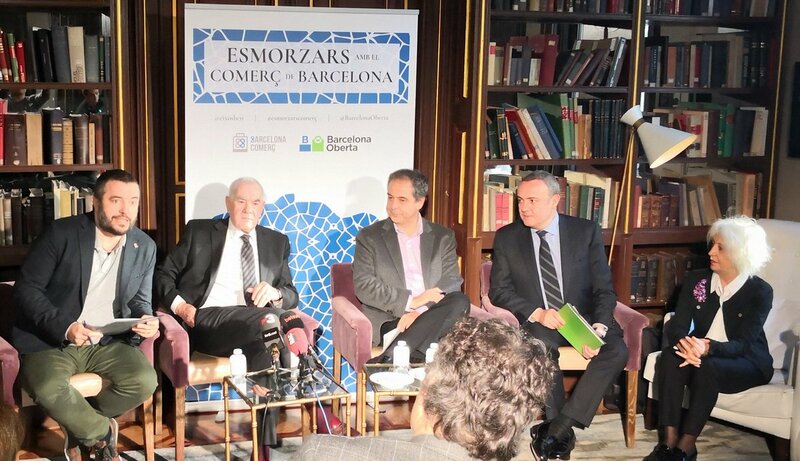 The two most representative entities of the commerce of Barcelona, ​​Barcelona Comerç and Barcelona Oberta, have launched the organization of the ‘Ciclos’ Breakfast with the Commerce of Barcelona to know the proposals committed in the first person of the candidates for the mayor of the city, around the policies related to the commerce of the city and related subjects. Specifically, the issues under discussion will be: the implementation of IDB’s -Business Improvement Districts-, mobility, tourist-commercial promotion and security and illegal trade. It is the first time that Barcelona’s commerce – axes of proximity and tourist axes together – is committed to a format like this to ensure that their positions and negotia are collected directly by the candidates looking for real and feasible commitments that allow them to establish bridges, reinforce connections and generate consensus towards a common goal: to preserve and promote Barcelona’s trade as one of the main economic drivers of the city. Neutral and conciliatory, with vision and global projection of the city. of this tax and a new distribution that solves this situation. 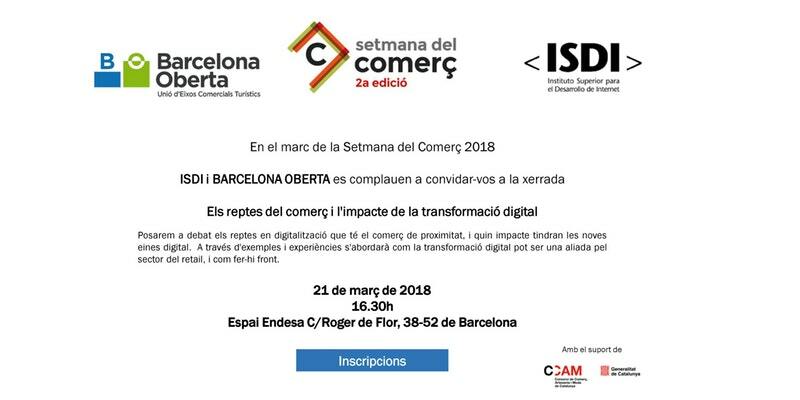 The Cambra de Comerç de Barcelona, ​​through the Retail Trade Program, has allocated more than 150,000 euros to 14 commercial spaces of Barcelona Oberta, to promote promotion, innovation, dynamization, strategy and digitization projects. Thus, for example, the Association of Neighbors and Traders of the Plaça Reial has carried out the campaign “Realize yourself”, to spread through audiovisual capsules the authenticity of their establishments to residents and to international tourism. La Rambla Catalunya and Pelai and Rodalies have launched systems for studying and analyzing the flow of visitors to their commercial axes; Born has advanced in the professionalization of the neighborhood, working on the creation of a IDB / APEU and in the definition of a marketing and communication plan. Via Laietana, for its part, has implemented communication materials aimed at both the local client and the international client; from Diagonal, they have created an APP to loyalty to local consumers and visitors; Gaudí Shopping has launched a Wi-Fi system in its area, and other commercial areas have been able to implement digitization projects, such as the Association of Neighbors and Traders of La Rambla, which has created a portal for commercial offers by its members , or Gaixample, an association that has promoted the promotion of the digital presence of associated commerce, among others. In total, the Cambra de Comerç de Barcelona through the Trade Program has contributed a direct financing to these 14 axes worth 152,950 euros. 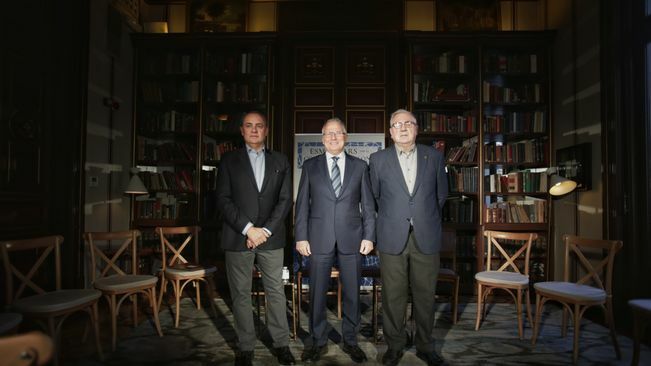 The President of Barcelona Oberta, Gabriel Jené, thanked the Cambra de Comerç de Barcelona for their support that in the current context “it is a key to preserving and promoting the local commerce of the city, to promote it and provide it with tools of digitization that help us improve competitiveness “. as well as the dynamism of the territory and its establishments. Experience managing marketing, retail and tourist management. What is the role of an Association and the key factors for its success? What makes a store or a commercial axis good? 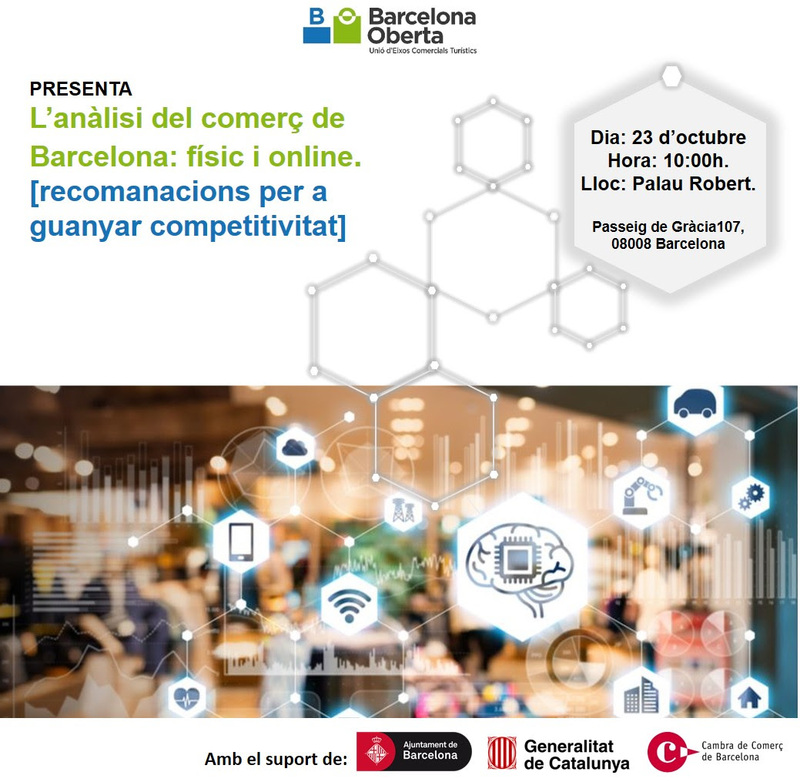 On October 23rd at the Palau Robert we will analyze the state of commerce in Barcelona, both online and physical. 10: 00h Welcome and presentation, Mr. Gabriel Jené, President of Barcelona Open. 10: 10h Introduction to the study: Mr., Agustí Colom, Councilor for Employment, Business and Tourism of the Barcelona City Council. 10: 40h Recommendations by Barcelona Oberta, Mr. Gabriel Jené. 10: 50h Closing Sra. Muntsa Vilalta, General Director of Commerce and Director of CCAM of the Generalitat de Catalunya. 11:00 a.m. Torn open to journalists. 11: 15h Closing and glass of cava. The Talent Night will deliver the prizes to new creators, this Wednesday. Seven categories will be awarded: 2D and 3D Design, Healthy Food, Commerce, Environment, Mobility and Tourism. It will also be recognized with Prizes of Honor for the best patron and for the best solidarity project. 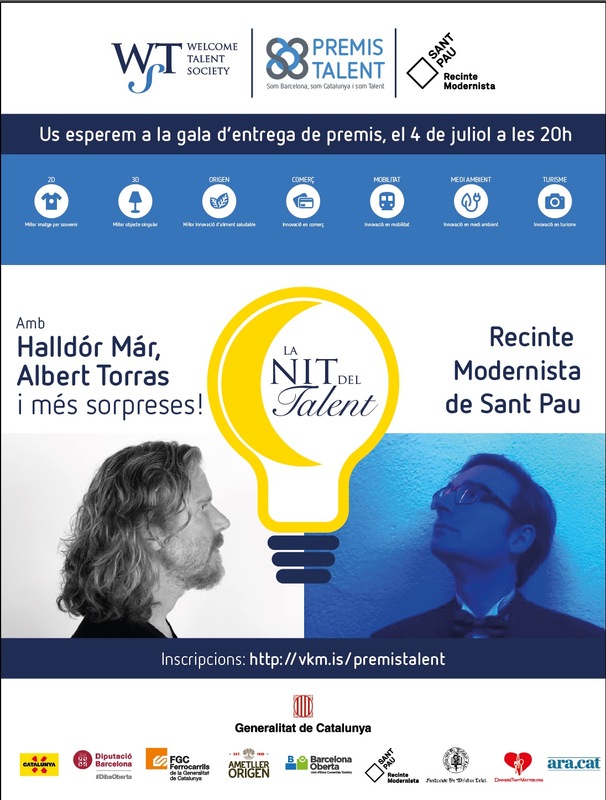 The presentation of the Talent Awards convened by the Welcome Talent Society will be this Wednesday, July 4, at eight in the evening, during a gala dinner supporter sponsored by Grupo Ametller Origen in the gardens of Sant Pau Modernist enclosure (Carrer Sant Antoni Maria Claret, 167. Barcelona). The purpose of this Talent Night, presented by Icelandic singer Halldór Mar Katalonski and journalist and writer Albert Torras, and which is full of surprises, is to become a meeting and networking space for creators, sponsors, patrons , academic world, authorities and professionals that stimulate creative ideas and enhance the capacity for initiative and entrepreneurship of Catalans. In this fourth edition awards are awarded for seven categories, with an economic grant of 2,000 euros. Those of Industrial Design 3D-object singular, Graphic Design 2D-souvenir and Innovation of Healthy Food-Origin were open to the free concurrence of people over 18 years. In the case of the two design awards, the works presented had to be inspired by the work of Lluís Domènech i Montaner, the author of the modernist Sant Pau Hospital. On the other hand, the other four prizes -Committee, Environment, Mobility and Tourism-have been awarded by the respective juries among a list of candidates proposed by experts from each of the sectors. Other personalities will also receive prizes in recognition of their professional career in each of these seven categories. In addition, two prizes of honor will be awarded to honor the best patron and the best solidarity project. All the winners will also receive a sculpture designed by the artist Helena Agustí Maragall that evokes the modernist imprint of Barcelona. 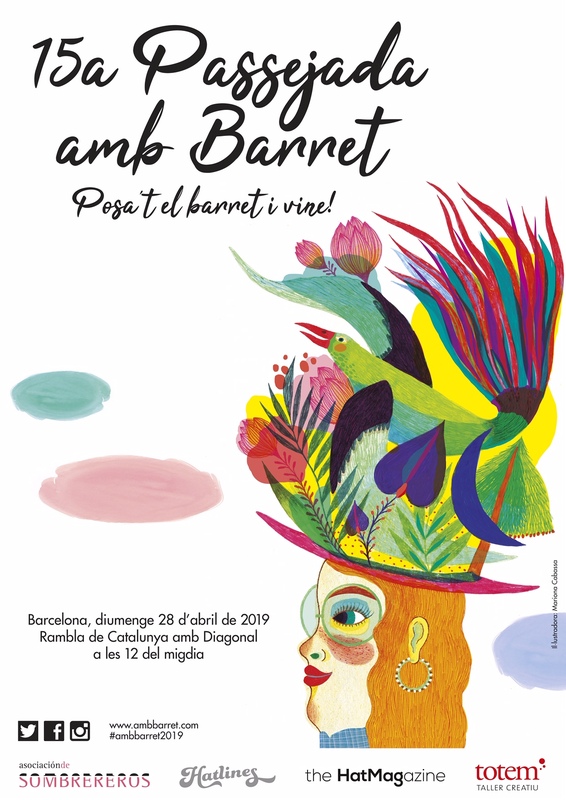 The awards are sponsored by the Generalitat of Catalonia, the Catalan Tourism Agency, the Diputació de Barcelona, ​​the Catalan Railways, Ametller Origen, Barcelona Oberta, the Modernist Center of Sant Pau, the Melchor Colet Foundation, the Dinners that Matter and the ARA newspaper. With these awards we want to establish some very necessary synergies for Barcelona and Catalonia, to link successful projects, promote academic debate, get support for innovative projects and work on lines of patronage and reinvestment in our talent. The collection of the Night of Talent is aimed at the Welcome Talent Society in order to improve the award of awards in successive editions and to carry out the exhibition La Llum de Catalunya around the world after its inauguration in Barcelona and the current exhibition in Brussels. In addition, a microswitching line has been opened through Verkami. It has been initiated by the City Council, the participatory process that will lead to the definition of the comprehensive reform of the Via Laietana project. This project must be defined and budgeted before the end of the current political mandate to be executed in the following. The City Council has presented a maintenance reform project, which will have a direct impact on the drawing of the future Via Laietana, especially with regard to mobility. This investment planned for “maintenance” of the Via Laietana is € 2,000,000 and will mainly affect the pavements and Plaça d’Antoni Maura. There is no consensus of any kind in the reform that the City Council wants to start this summer. All the political groups with which we have spoken speak to us to be against acting in the Way that affects how the future project should be and that, in addition, an investment in the reform of sidewalks will be made when they will have to go back to the reform again. The impact on mobility has not been studied well and the future Via Laietana is being mortgaged with a project unilaterally predefined by the current council, without any previous study, without local or commercial consensus, and without political consensus. This is not the path of a net participatory process nor is the maximum consensus that has always been demanded from the Association of Neighbors and Traders of Via Laietana. That is why we want to present the project that we have carried out jointly with the UPC (ETSAB Department of Urban Planning and Territorial Planning of the School of Architecture of Barcelona), where the problems of the Via is analyzed, we propose possible solutions and warn us of the challenges of the pacification of the Way that confronts directly with the action that the City Council wants to do without any type of consensus and greatly limiting the options and definition of the future Via Laietana. Therefore, next Thursday, July 12, 2018 at 9:45 p.m. in the room reserved for the College of Industrial Engineers of Catalonia (Via Laietana nº 39 – Barcelona), where we will explain in detail the project developed for the comprehensive reform of Via Laietana. It is necessary to confirm the assistance in the email info@veinsicomerciantslaietana.com. For reasons of security of the College of Industrial Engineers of Catalonia, we ask for Name, Surnames and DNI of those attending the presentation and we will be grateful for your help. “The challenges of trade and the impact of digital transformation”. We will discuss the digitization challenges that local commerce has, and what impact will the new digital tools have. Through examples and experiences, we will address how digital transformation can be an ally for the retail sector, and how to deal with it. The PRIDE Barcelona is already close and, as every year, we encourage you to participate in the Manifestation / Parade and take advantage of this event to make you more visible. This year, to indicate that you will participate in the PRIDE Barcelona 2018 rally you just have to download the form here and the regulations and make us the top filling and signed in info@pridebarcelona.org. To the regulations attached to the form you will find all the necessary information about participating in the demonstration / parade of PRIDE Barcelona 2018, including the corresponding fees. This year there are significant changes in order to guarantee the safety of both the participants and the spectators who participate in the event. This is an event that increasingly attracts a greater number of visitors, and the security of them is a priority. For this reason, please read carefully the regulations that we provide. Fashion shops, gift items, perfumeries … 50 establishments of the Gaixample and the Eixample Commercial Eixample will be taking part on Friday, November 24th, at Pink Friday, a day with which the shops in the neighborhood want to anticipate and give the starting signal In the Christmas shopping campaign with discounts that can reach 50%.During the whole day, the Commercial Area will have a stand at Plaça Universitat from where it will be informed of the shop route that can be done throughout the neighborhood during commercial hours. Identifying the participating establishments will be very easy. 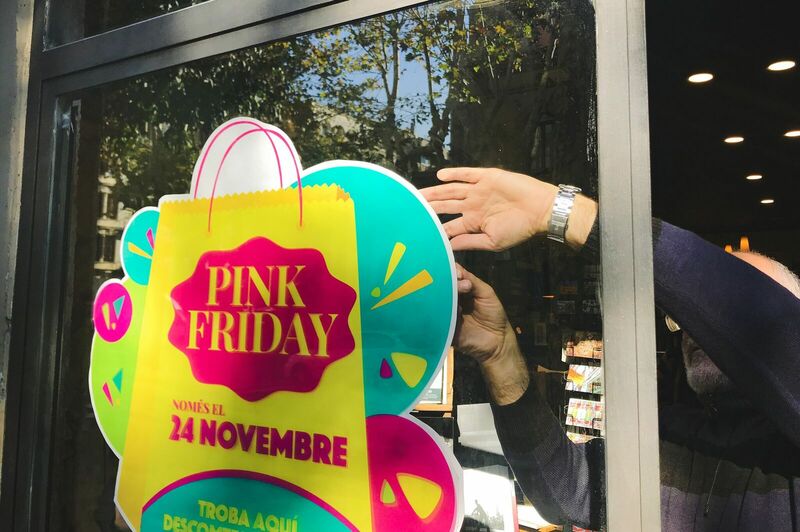 Each one of them will be decorated in a unique way and signposted with pink balloons.The first edition of the Pink Friday is part of the new dynamization strategy launched by the shops of Gaixample and the Eixample Commercial Area, in collaboration with the City Council of Barcelona. 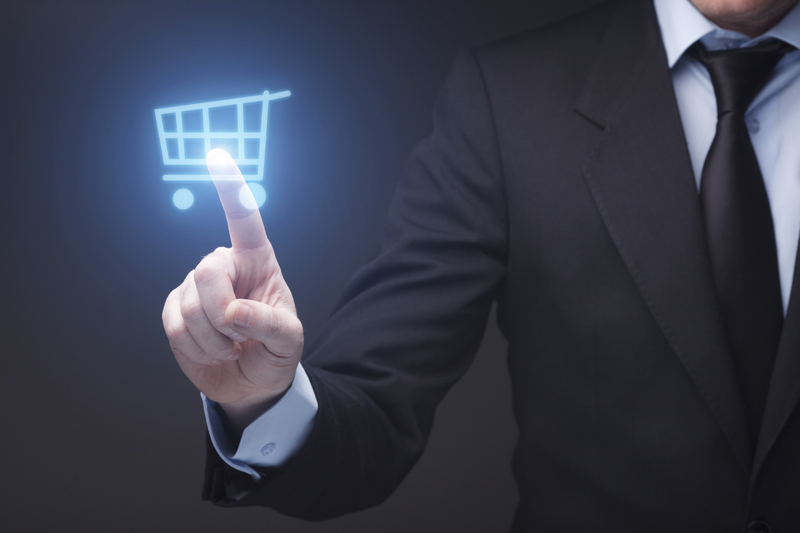 The objective is to show the commitment to proximity commerce and to make visible the activity that is taking place in this area of ​​the city through unique events. The Pink Friday celebration will be the perfect excuse for strolling around the Ancient Eixample Left and enjoying the Christmas lights.For the first time, 12 sections of the streets of Gaixample will be lighting Christmas lights. The lighting will take place on November 23, as in the rest of the city. 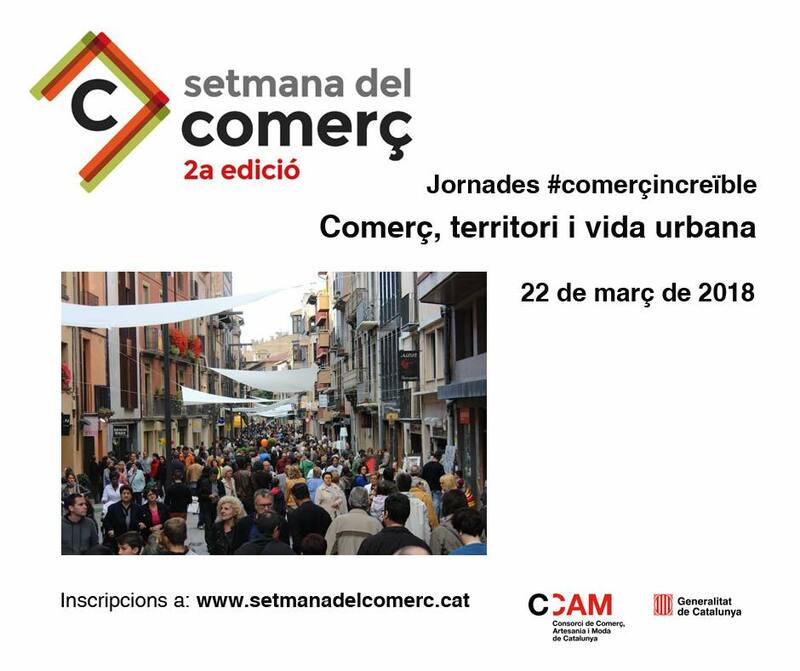 The lighting installations can be seen in the area between the streets Gran Via, Aragón, Balmes and Urgell.The initiative aims to invite citizens to stroll through the streets of the Eixample and to make their purchases in stores in this area of ​​the city, making a clear commitment to commerce of proximity. 08: 45h – Arrival and accreditations. 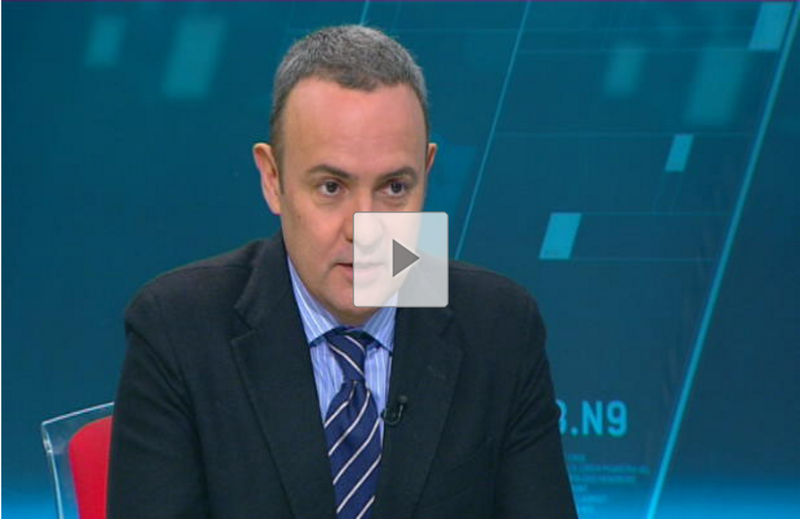 Dr. Oriol Amat, Professor of Financial Economics and Accounting at the UPF. Excm. 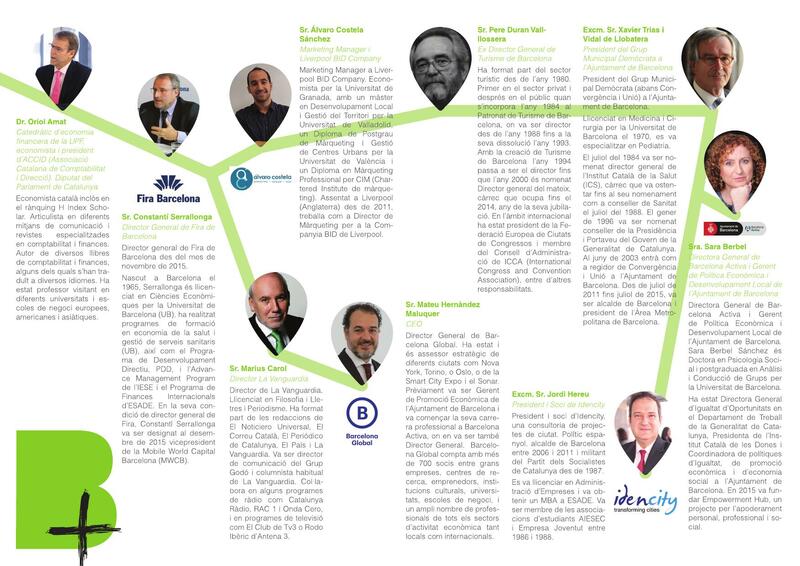 Mr. Jordi Hereu, President and Partner of IdenCity. 11: 20h – Debate among attendees. 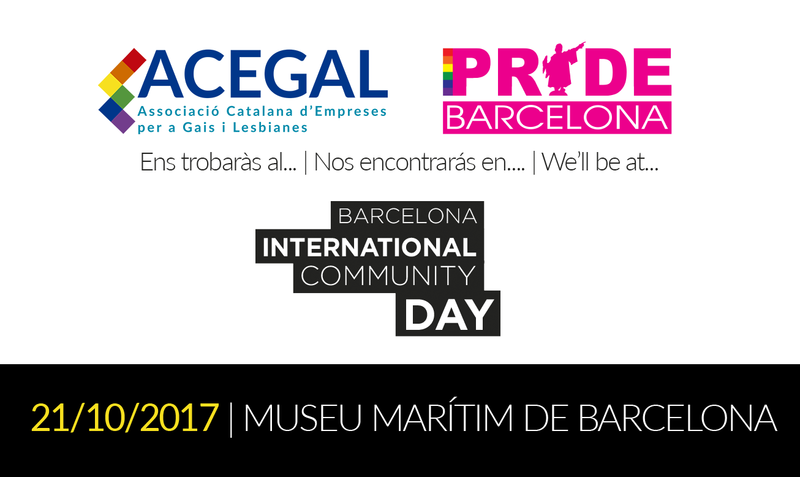 Next Saturday, October 21, PRIDE Barcelona and ACEGAL will be at the International Community Day, the reference appointment for the members of the international community living and working in Barcelona, ​​organized by Barcelona Activa. Through a program full of conferences, roundtables and workshops, the new Barcelona residents will find everything they need to know for their landing in the city and / or for doing business. In addition, the meeting will feature entertainment activities designed for all ages to enjoy with the whole family! We’re waiting for you, from 10am to 7pm at the Museu Marítim de Barcelona! The union of commercial shopping centers has incorporated five new partners this year: Plaça Reial, Fem Raval, L’Illa, Diagonal Barcelona and Glòries. 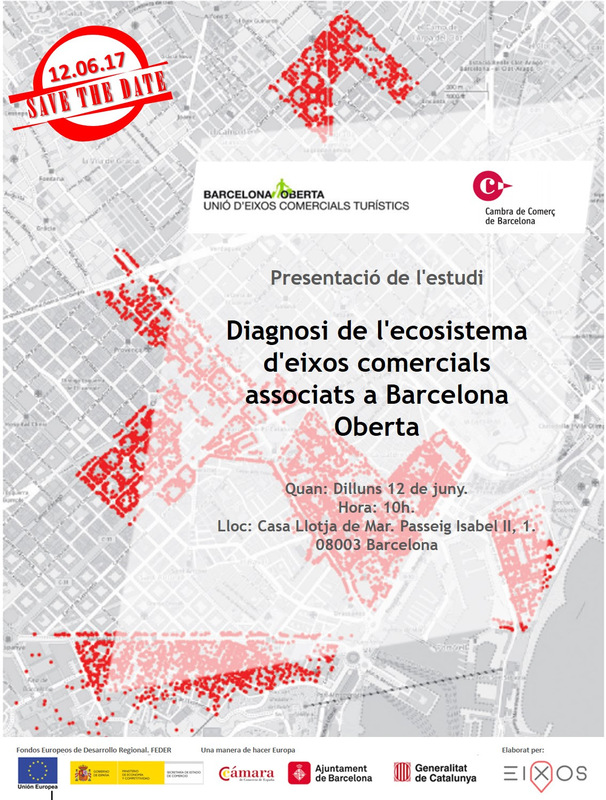 Barcelona, ​​September 28, 2017.- The entity Barcelona Oberta was born in 2014 to collaborate to promote the city internationally and position Barcelona as a world-class shopping city, looking for the balance between the axes Tourist commercials and the axes of proximity of urban plots throughout the city. In just three years, Barcelona Oberta has managed to have good representation before the administrations, publicly speaking and openly to the interests of its associates in the different issues related to commerce and local tourism, defending the needs of people and the company, promoting employment and exploring new forms of public-private management in the territory. Sample of this is the pilot IDB pilot that the entity has driven to the Born of Barcelona. 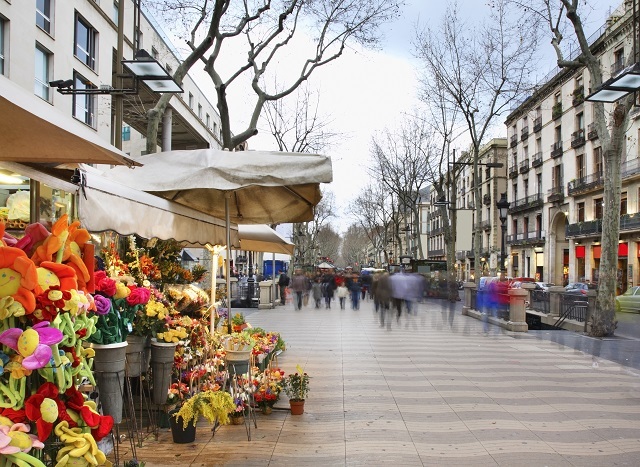 The entity wants to guarantee the quality and professionalization of the commercial and tourist sector, which is why its challenge is to achieve the public-private management of shopping tourism in the city of Barcelona, ​​looking for cohesion between the different trade organizations and in harmony with Neighborhoods, neighbors and cultural heritage of the city. 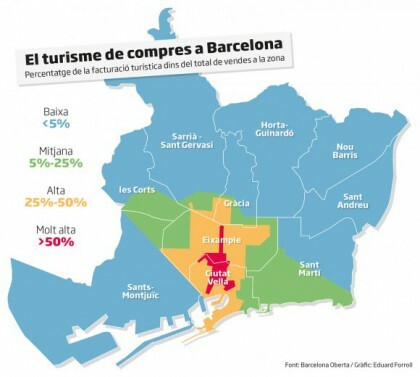 The 16 commercial and tourist axes joining Barcelona Oberta add up to around 50,000 workers, 160km of commercial and tourist continuous façade, more than 7,000 commercial establishments in total and an aggregate turnover of 34,500 million euros. The commercial areas of Barcelona Oberta have an index of exploitation of the commercial fabric (IATC) of 90%. 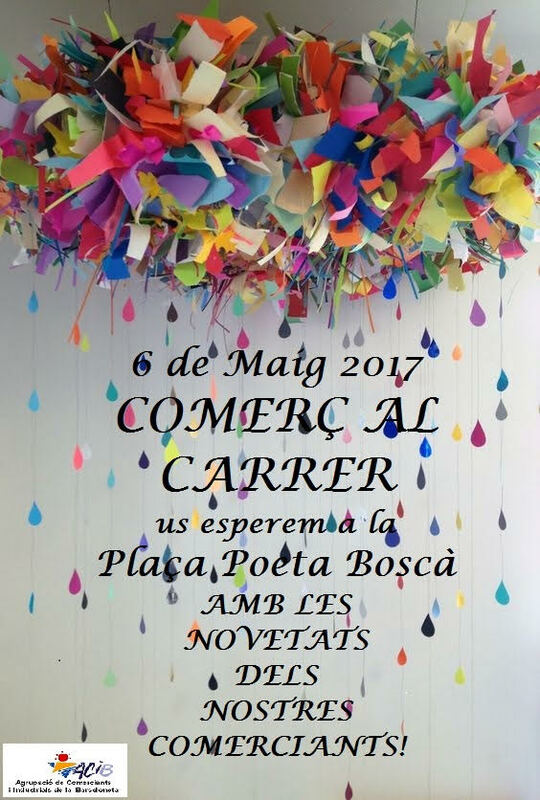 From October 7 to 12 Amics de La Rambla organizes the Fiesta del Roserm the Fiesta de La Rambla. This year’s Fiesta program includes music, theater, floral decoration of façades and many other activities. But, apart from that, there are also many buildings and institutions in La Rambla that open their doors to invite you to enjoy La Rambla! Next all activities – free – what can you do? Most require prior registration because they have limited places. . To register, you have to call 93 317 29 40 and make the reservation. Saturday, October 7 at 10:30 a.m.
(25 seats at each exit). Barcelona Puerto 40 ‘: At 11; 3:00 p.m., 12:15 p.m., 1:15 p.m., 3:15 p.m. and 4:15 p.m.
Barcelona Mar 1:30 ‘: At 11:30 a.m., 12:30 a.m., 1:30 p.m. and 3:30 p.m.
Due to meteorological causes the service may be altered. Collection of invitations at the ticket offices of “Las Golondrinas” carrying a flower bought in La Rambla (children under 10 can wear the flower drawn). With the flowers delivered, there will be a large bouquet of flowers in the Port Vell. Saturday 7 and Sunday 8 at 4 p.m.
From Tuesday to Saturday from 10 a.m. to 2 p.m.
Saturday 7 and Sunday 8 October. Sunday, October 8 at 11:30 p.m.
Limited seats for 25 people. Friday 6, Saturday 7, Sunday 8 and Thursday, October 12. Tuesday, October 10 at 4:00 p.m. and 5:15 p.m.
Free entrance to the Rosales. Days 7 and 8 of October. From Tuesday to Sunday and holidays from 12 a.m. to 8 p.m.
From Tuesday to Saturday from 11 a.m. to 9 p.m. Sundays and holidays from 11 a.m. to 5 p.m. The El Triangle Shopping Center will give to all its customers a test with seeds that can be collected on Saturday, October 7 from 12 a.m. to 8 p.m. and on Sunday, October 8 from 12 a.m. to 6 p.m. at the Shopping Center Hall. Comes the fourth edition of “Tast a La Rambla” -4ª Gastronomy Week of Barcelona, ​​a great culinary festival annually organized by Friends of La Rambla in collaboration with the GSR Group, with the support of the District Old town of the city of Barcelona, ​​the beer company Estrella Damm, sponsored by various brands such as Freixenet, Segura Viudas, Coca-Cola, Cinzano, Aperol Spritz, El Periódico and Hostelgrup, and with the collaboration of 20 people Casal dels Infants del Raval and 45 students of the CETT. 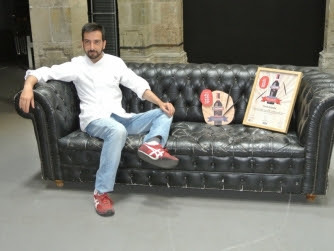 The press conference was attended by the District Councilor for Ciutat Vella, Gala Pin, organizers of the event, Fermín Villar, president of Friends of La Rambla, and Roser Torras, director of the group GSR and chefs of restaurants, bars and bakeries participating in the fair, as Albert Raurich (two peppers), Christian Escribà (Scribe) Oriol Balaguer (BARCELONA Oriol Balaguer) and Nandu Jubany (Petit Committee), among others. After the presentation, several establishments such as Amaya (truffle cannelloni Grandma Nicolassa) Arume (xelets, cream corn and seaweed ximixurri) Bar Ri (potato salad), Scribe (with matcha tea waffle foam cream Catalan) Fonda España (donut creamy cod stewed pig’s feet), La Cuisine Moja (cream fruit trio topings) and Opera Ratatouille (steak tartare, poêle pork Vic) that participate in the tasting La Rambla this year, have a snack served basis caps also be served the next 8, 9, 10 and 11 June; four days when 50 of the best bars, restaurants and bakeries in the city of Barcelona will offer, in the heart of Santa Monica Boulevard, a sample of your kitchen. This year the proposal tasting is divided into four areas: cuisine, Confectionery, Tapas Platillos and traditional cuisine, complete with a section dedicated to the sponsors and partners. 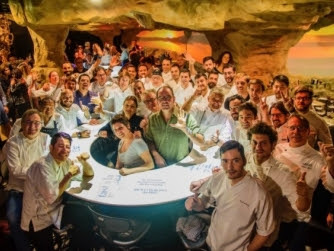 And it introduces new features such as the Taste Workshop Arts Santa Monica, Stage Gastronomic by Estrella Damm, a space for Buenos Aires-city convidada- and the opportunity to purchase tickets in advance exclusively Atrápalo a promotional incentive. To all the citizens of Barcelona, ​​returns on Saturday 21 May “Square draws” for the second consecutive year! Open to everyone! Barcelona: you get your and draw it in your own travelogue around the Square. We will open four buildings in the Square who wants to can draw it from a different point of view. We will have the participation of 15 renowned Sketchers city and 15 art students from schools in the district. The organization will have two tents in the square: an information, which will be delivered the drawing material and registration of participants; and the other drawing workshop for children conducted by the caricaturist illustrator Lluïsot that help children to draw square and observe their peculiarities. The conference will be accompanied by Dixie Band Music Workshop and Workshop Open a project of social reintegration through the music of the same music workshop. The originals, both professionals and students and amateurs, exhibited at the Sala Lemon Foundation Setba during the months of June and July 2016, coinciding with the exhibition Setba Young and within the framework of the event ART NEW / FIRST VISION. Material provided by Setba Foundation, which this year also organizes a lot of material of Fine Arts, Art courtesy of Barna among participants. In collaboration with the Association of Friends and Merchants Plaza Real. The Trade Office of the Barcelona City Council and IESE organize the “The future of the trade axes: from local trade to integral urban economic development”, which will take place on 21 and 29 March and 3 May. Throughout three days, attendees will discuss how to approach the transition of commercial axes in areas of urban economic promotion (APEU) and reflect on the model of management and participation. The conference wants to be a starting point shared with the commercial sector on the creation of the APEU, for which the Council of Commerce and Markets works. 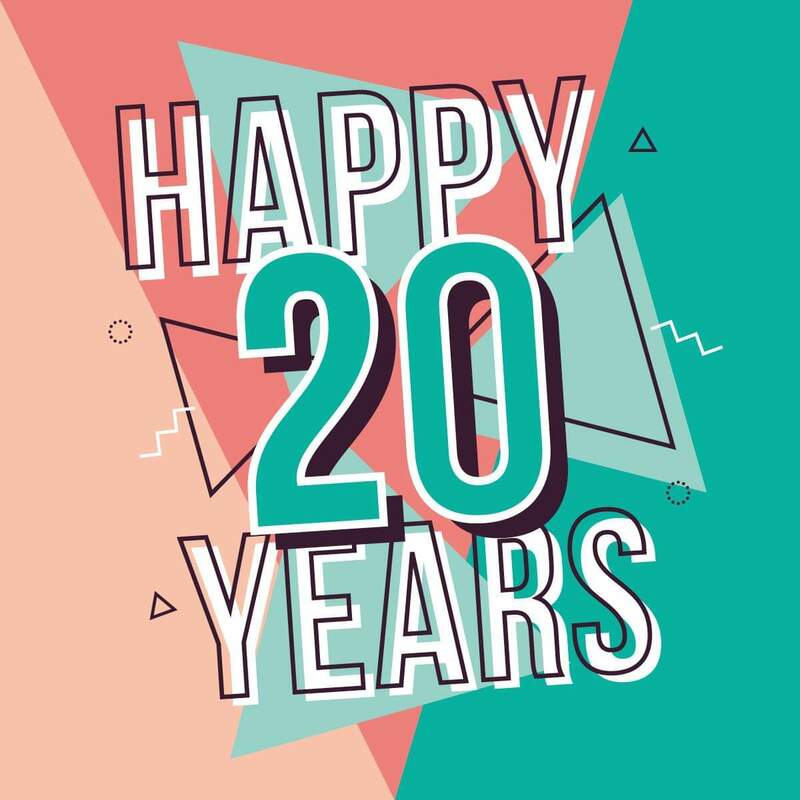 For this reason, the people who attend will enjoy a space for debate, awareness, training and constitution of agreements, and may participate in two workshops and a day of conclusions and dissemination of knowledge. The first workshop, scheduled for the 21st, will discuss the transition from the commercial axis to the urban economic promotion area model and analyze the benefits of being part of them for the economic and social actors of the city. The second workshop, scheduled for the 29th, will focus on the discussion of the APEU management and participation model and on the involvement of the big brands. Finally, on May 3, the conference will conclude with an appointment on the future of trade and self-management models of urban economic promotion areas, which will be attended by experts. It will be three days to deepen the challenges of the urban economy and the implementation of governance models that allow self-management of the city’s commercial areas to make them more competitive, accessible and attractive. The IV route covers again sponsored by Cinzano and wants to highlight both the local tapas prepared iconic La Rambla as his pairing with Cinzano vermouth. Cover and Cinzano, perfect for a couple vermouth. Each of the participating establishments will have to prepare a special cover for the competition (or select one that already has) and pairing it with a ready Cinzano vermouth. Vermouth aperitif is a drink prepared in that mix vermouth – as the main ingredient (60% -80%) with additional ingredients (other may be alcohol or soft drinks, fresh fruit, spices or herbs). Vermouth prepared each has its unique formula and taste different. The professional jury will evaluate the cap and its harmonization with Cinzano vermouth. 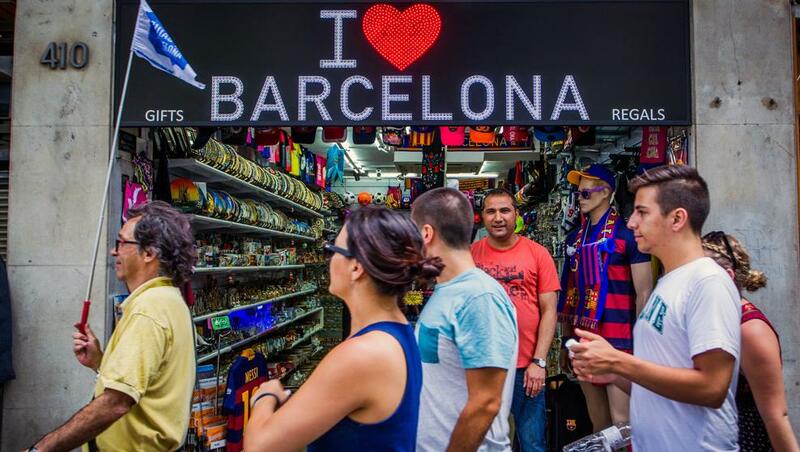 Purchases are basic infrastructure for tourist trade in Barcelona and represents a key segment to maintain the model and the quality of urban commerce in the city. Under this premise, we conducted a study on the socioeconomic impact of shopping tourism in the city of Barcelona, ​​directed by RBD Consulting Group, led by Barcelona Open with the support of the Government and the Chamber of Barcelona Commerce, among other institutions. Through 1250 surveys business owners and managers, analysis of statistics and information towards the influx of tourists in Barcelona and 17 in-depth interviews with key players in trade and tourism of the city s ‘have drawn conclusions, reflected in the study presented last March 22 at the Palau Robert and highlight the importance of spending tourist trade and catering, both for society and for the economy of the city. Over 90% of the Catalan population have a smartphone, which uses more than two hours each day. The vast majority of these users use the phone sometime in the buying process, whether to seek information or to purchase products directly. But these devices are not only useful to consumers, they also offer a number of resources to commercial companies to contact the client. 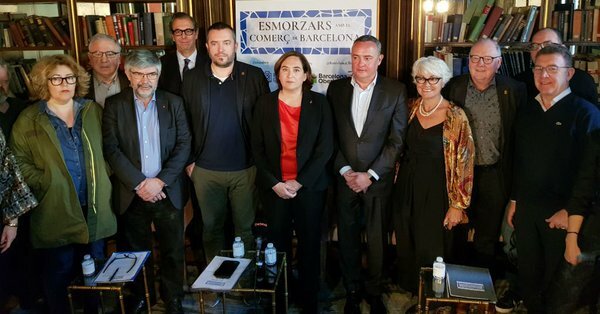 To publicize these possibilities, the Consortium for Trade, Crafts and Fashion of Catalonia begins the series of sessions called “Esmorzapps. Applications service trade “, where developers of several mobile apps will explain their projects in order to encourage participants to use these tools. The first session of Esmorzapps will take place at the Palau Robert depot on December 2 at 9: 30h. To organize the count with the collaboration of Barcelona and the Barcelona Trade Foundation Open. Come and meet the world at your fingertips put projects Chopin Manzaning, Yuge and Catalonia Shopping. 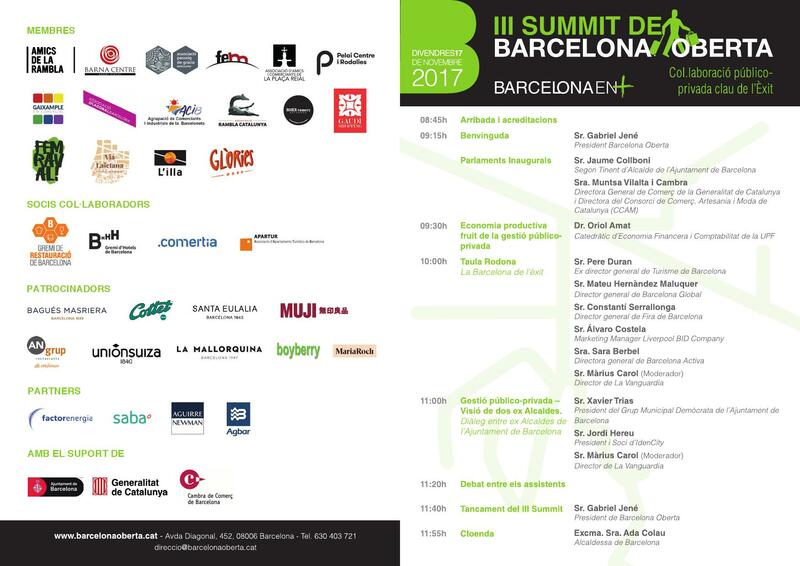 Tuesday 29 November come to the II Summit Barcelona Oberta – Barcelona of the future: Another look. From 9 a.m. to 12:30 p.m. in El Molino. We must all design this Barcelona of the Future. It is important that entrepreneurs, neighbors and other organizations support each other and try to make pedagogy of the benefits of economic activity and positive social work of entrepreneurs in the generation of wealth, without which it is impossible to sustain the state of wellness. 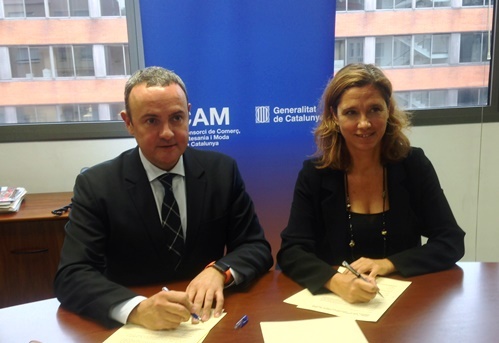 The general director of Trade Muntsa Vilalta, and the president of Barcelona Open, Gabriel Jené, have signed an agreement by which the Government supports the action plan of the organization in 2016, aimed at promotion, promotion Catalan model and dissemination of local commerce. 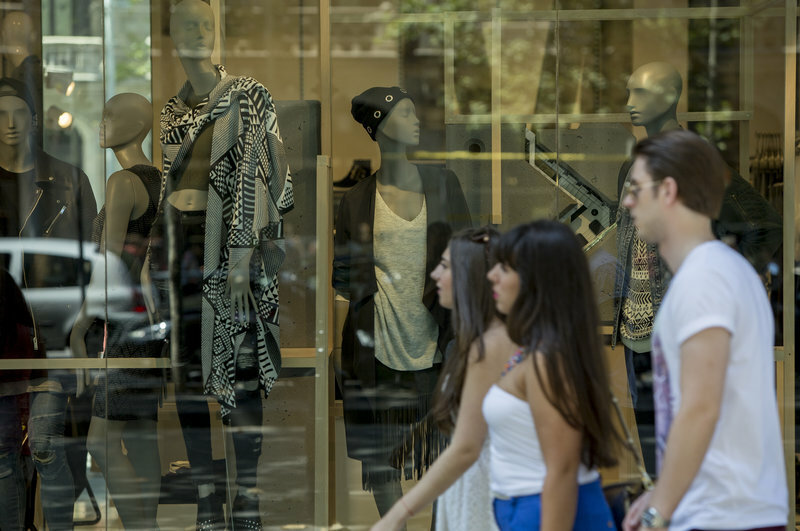 The Directorate General for Trade has entrusted Barcelona Open prepare a study on the socioeconomic impact of trade and tourism shopping in Barcelona.